The name says it all when shopping the Kohler Simplice series. 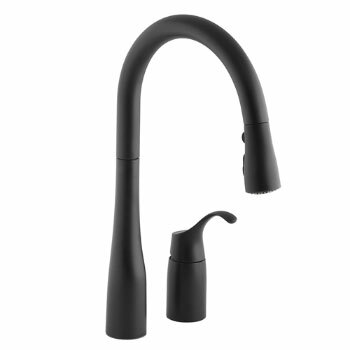 Kohler has created the Simplice collection to provide simple elegance and function you need to get the job done and look good while doing it. 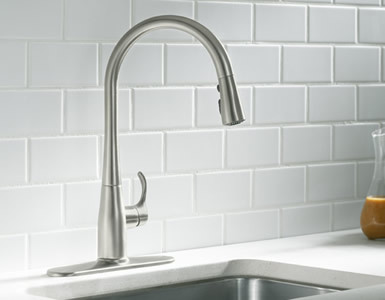 Offering clean lines and swooping arches each piece will clean up your space and make life a little easier in the kitchen. 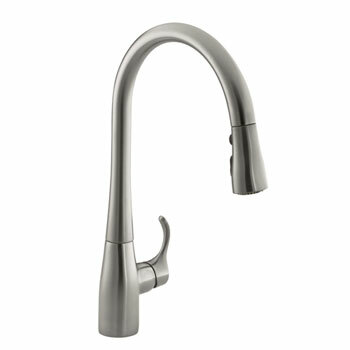 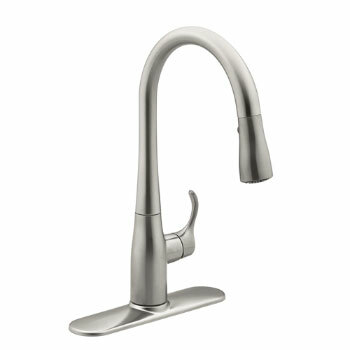 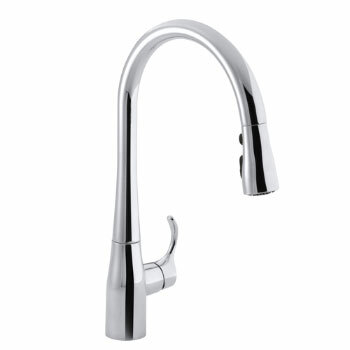 With its sleek, transitional design, the Simplice pull-down kitchen faucet offers superior ergonomics and outstanding functionality. 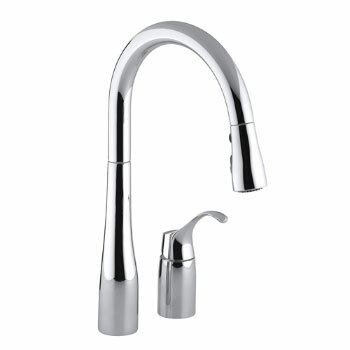 Extremely versatile, the high-arch spout features a compact three-button sprayhead with ProMotion technology and a tangle-free hose. 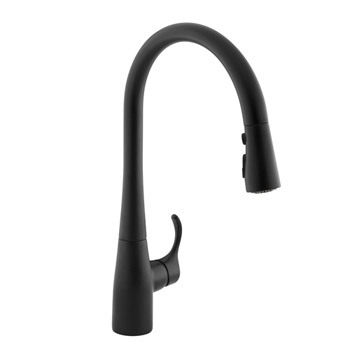 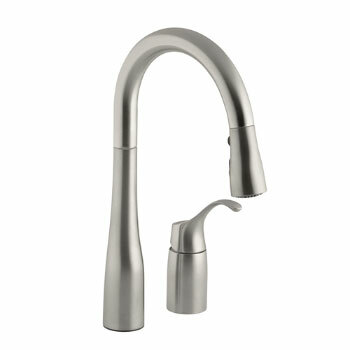 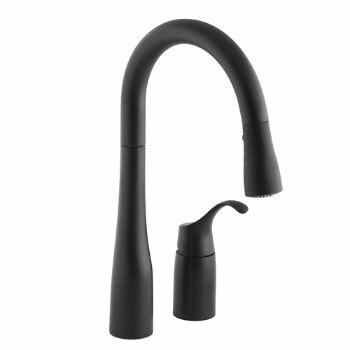 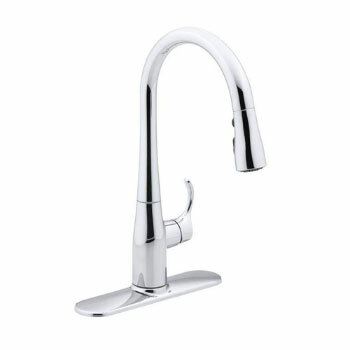 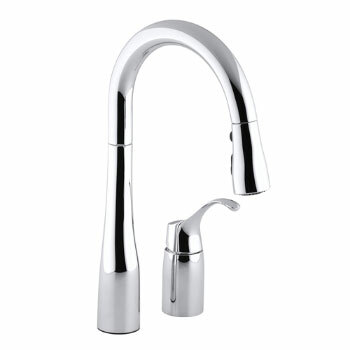 The new Simplice pull-down kitchen faucet beautifully combines an elegant transitional high-arch design with exceptional ergonomics and functionality to deliver a truly innovative faucet solution for a wide variety of kitchen applications. 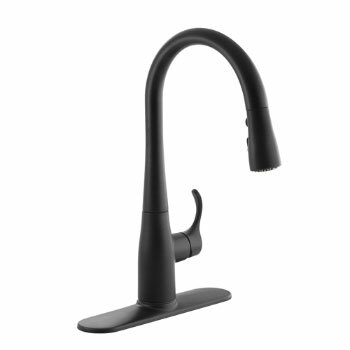 The Simplice sprayhead utilizes solid sculpted buttons to provide improved operation even with wet or soapy hands. 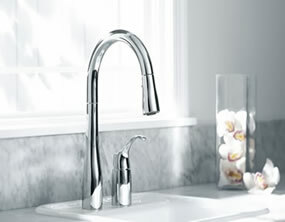 It also includes a pause function to temporarily pause water flow to permit movement of sprayhead out of sink area to fill pots.